This entry was posted by Anne Reith on March 17, 2015 . NOTE: The location of any planet is determined by the minutes and degrees within a sign. For example, a New Moon in Libra might be located at 22°16’ (i.e., 22 degrees and 16 minutes of Libra). Each of the 29 degrees (°) in an astrological sign is broken down into 59 minutes (59’); Normally, when calculating the degree of a New or Full Moon, most astrologers will round up any minutes to the nearest degree. For example, if a New Moon in Libra was located at 22°16’, then I would tell you that the New Moon was located at 23° of Libra. This is what I normally do in these Moon Updates, and this approach works most of the time unless the Moon is located at 29° and any number of minutes (e.g., 29°03’, 29°48’). To round up to the nearest degree will move the Moon to the next sign because there are only 29 degrees in each sign. This is the case with this New Moon in Pisces. Therefore, I will not be rounding the degree upward in these two Moon Updates. In the Pacific Time Zone, the New Moon will occur at 2:36 a.m. on Friday, March 20. This New Moon finds the Moon and Sun in conjunction (0°) at 29°57’ of Pisces. To further clarify how this New Moon will impact you on a personal level, locate 29°57’ of Pisces in your birth/natal chart. The issues associated with that house are going to be most influenced by this New Moon’s presence. All New Moons provide us with opportunities for new emotional starts and a chance to set new intentions within the sign involved. The power and potential of this New Moon in Pisces is magnified by a full Solar Eclipse, which will only be seen in its entirety in some parts of northern Europe and in the Arctic Circle. This makes for an extra powerful New Moon! All Eclipses are powerful times when the Moon blocks the Sun’s rays from reaching Earth. It’s a time of recalibration when we can release old ways of thinking and incorporate new beliefs. Given this is a full Solar Eclipse occurring at the last degree of the most spiritual sign (Pisces), this is a unique opportunity to clarify and affirm our highest goals, which could include new spiritual understandings and/or connections with “the other side.” If possible, it would be helpful on the day of the Full Moon to spend time engaging in your spiritual practice (e.g., meditating, praying, walking in nature, pursuing artistic pursuits, reflecting quietly). This would also be a powerful time to engage in any releasing rituals (e.g., writing down what you want to release and bury or burn it), as well as setting new intentions for the new year (see later discussion). The potential spiritual power of this New Moon in Pisces is further magnified by the presence of Mercury, Neptune, and Chiron in Pisces, in addition to the Sun and Moon. All this spiritually-oriented Piscean energy means that we are being encouraged to use our intuition and listen to our heart. It’s a good time to consciously engage our right brain (i.e., non-linear thinking, intuition) instead of the left brain (i.e., linear thinking, logic). The sign of Pisces is represented as two fish swimming in tandem but in opposite directions. Fish swim in water, and water often represents emotions. Pisces is a very emotional sign, and we may feel our feelings strongly. But we also may be feeling a lot of different emotions, because the fish are going in opposite directions. For example, one minute we may be feeling optimistic, only to feel a wave of pessimism the next. Or we could start laughing hysterically and then start to cry unexpectedly. Be patient with this emotional rollercoaster because it’s not likely to last too long. This Full Moon occurs in the very last degree of Pisces, and this means that just 15 hours after the Full Moon, the Sun moves out of Pisces and into Aries. The sign of Aries is represented by the ram, and rams only move in one direction . . . forward. No duality here! When the Sun enters the first sign of the horoscope, it marks the Spring Equinox. In the astrological world, this is also seen as the beginning of a new astrological year. It’s a great time to set new intentions, and many of us will be feeling like we are very ready for some major new beginnings. 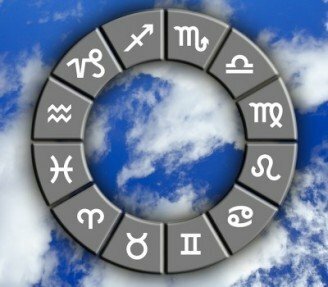 We can take all the spiritual wisdom we have gained (Pisces) and think about how we would like to apply it in the real world (Aries) during the coming year. And given the close proximity of the New Moon and Solar Eclipse to the Spring Equinox, it is like we are being provided with a bridge. On one side of that bridge is our higher self and spiritual existence, while on the other side is the earthly plane on which we are meant to exist and thrive. This window of opportunity can allow us to more easily receive and implement on the earth plane any knowledge and wisdom that comes from the spiritual realm. The faith of Pisces can nourish the new growth that is often brought in with the Aries energy. On Sunday, March 22, a sweet sextile (60°) between Mercury and Pluto will support us in making any necessary adjustments to our intended course. If we take advantage of this pairing (i.e., sextiles always require a conscious choice or the gift is lost), we can experience greater degrees of insight and psychological awareness than usual. What is lurking below the surface or in the shadows will suddenly become clear, and the resulting decisions that we make will be based on sound strategic moves. Another sextile (60°) occurs the next day (Monday, March 23) between Venus and Neptune. Some of us may feel a need to escape from reality for a day. However, a better use of this energy is to focus on creativity, inspiration, and romantic feelings. All social relationships will benefit if we take a gentle approach to them, and we may even find that this is a magical time with others. Intuitive insights or interesting synchronicities can occur in both our relationships and finances. A very constructive trine (120°) occurs between the Sun and Saturn on Wednesday, March 25. Any projects will be helped by the sense of proportion provided by this meeting. Productivity may be slow, but it will be steady. Our focus is determined and practical. We are willing to shine light (Sun) on any areas of our life that are under our responsibility (Saturn). Then on Friday, March 27, a square (90°) between Venus and Jupiter could result in indulging too much, spending too much, expecting too much of others, and wanting too much approval. Although this pairing can also bring new willingness to try new forms of pleasure, it’s not a good time to make any major decisions because we could over-promise. Also, when talking about our feelings, we need to be careful not to exaggerate. Monday, March 30, starts off with a wonderful trine (120°) between Venus and Pluto, which may arouse deep romantic feelings and even lead to a commitment (or re-commitment). This is also an excellent time for us to dive into our finances and come up with a successful strategy for dealing with any problems. Your feelings may be intense, but you will work through issues with less drama than usual. Later that same day (Monday, March 30), mental Mercury moves out of fuzzy Pisces and into energized Aries, where it stays until April 15. After the slower pace of Pisces, we may feel like our minds have suddenly gone into hyper-drive as new ideas speed along the neural nets in our brains. We want to make decisions fast. However, the rapid thinking of yesterday may be slowed down a bit on Tuesday, March 31, when Mars moves into grounded Taurus, where it will remain throughout April and into the first two weeks of May. Although we may still be thinking quickly, any actions that are taken now will be unhurried. Mars in Taurus will make sure that we take our time before acting on any new ideas that Mercury in Aries brings our way. Our approach to everything is determined and patient, and our goal is to be satisfied even if it takes time to get there!